The Igbo traditional marriage is a popular event in Igbo land. Young ladies and men who are getting married use it to bring their friends and well wishers to their homes, to showcase the families where they are coming from unlike before especially in the early 1980s, when it was not as popular as it is today, because at that time, young ladies would bring their suitors to their parents and kinsmen who drew up a list of things to be done, including the dowry to be paid, other expenses to be incurred as well as going to the church to solemnize the marriage. However, traditional wedding cannot be done today in Igbo land without traditional marriage being performed between the parents and relations of the bride and suitor. Traditional marriage cannot be neglected in Igbo land, what people call traditional wedding today in Igbo land is actually the celebration by friends and well wishers of the girl and her husband after traditional marriage rights that has been earlier done or part of it done before the celebration through eating, drinking and dancing that follows it. If you do not do traditional marriage in Igbo land, in the eyes of the kinsmen, men and women, the girl is not yet married, you must do it to put a seal to the marriage,. Where you don’t perform this traditional rights of payment of bride price and the rest of other things, the girl in the eyes of the kinsmen men cannot be given out for marriage. The implication is that if she bears a child, that child belongs to her father’s home, if you did not pay that bride price, any child she bears does not belong to the husband, but when he pays, the child can now belong to the man. Traditional marriage is a very important event in Igbo land and if you have not done it, it means you have not started marriage, it is that time the human beings and the spirits in the community where it is happening welcomes the two people involved in the marriage to be one. White Wedding was brought by white men, but traditional marriage is where the agreement of being husband and wife is sealed, in some white weddings, if the traditional marriage activities have not been conducted, some priests do not accept to conduct white wedding. Some Priests will tell you, go and conduct the traditional marriage first, another thing is any man that grow to marry and have children, and it happens that the son or daughter is performing this ceremony, it gives joy, it is a thing of joy in the life of the man and woman who are giving out their daughter, and when this happens, and in few months or years, he gets a grandchild, he starts answering grandfather while the mother becomes grandmother. 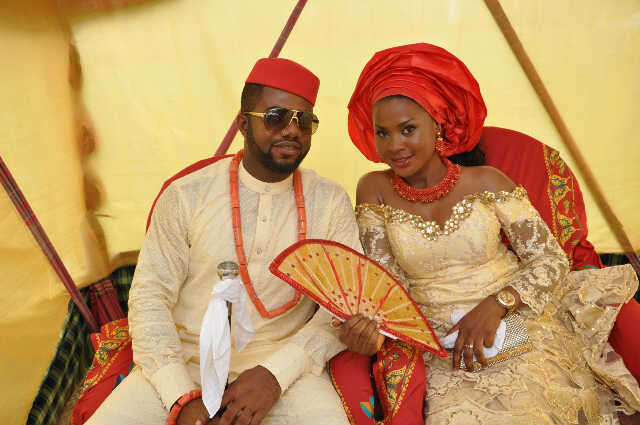 The success of every Igbo marriage is honour and respect for the husbands, Igbo women should love their husbands and imbibe the spirit of endurance, once you love and respect your husband, you will be comfortable in your matrimonial home.